The Cub Scouting program offers fun and challenging adventures that promote character development, citizenship, and physical fitness. 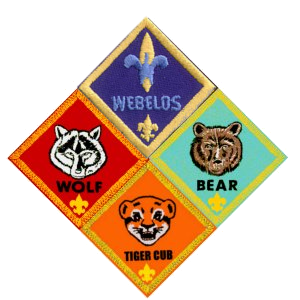 Boys can begin as Lions as they enter Kindergarten, and then move into the Wolf and Bear Cub Scout programs (second and third grade, or age 8 or 9), and Webelos Scouts (fourth and fifth grade, or age 10). They then transition into Boy Scouts. Join Pack 45 for our annual RoundUp event where you can listen to what we do as a pack, ask questions, and have your kids participate in some scouting activities. 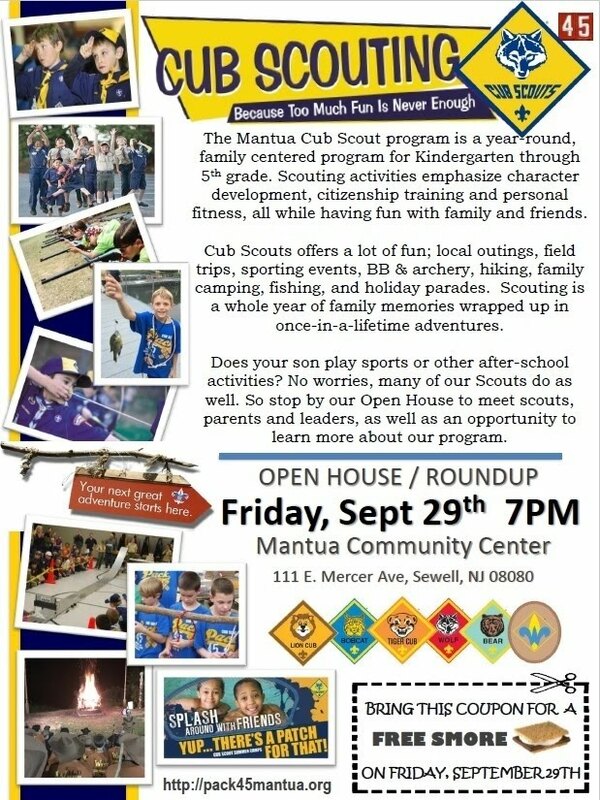 The RoundUp is held at the Manuta Community Center located at 111 E Mercer Ave in Sewell, NJ.